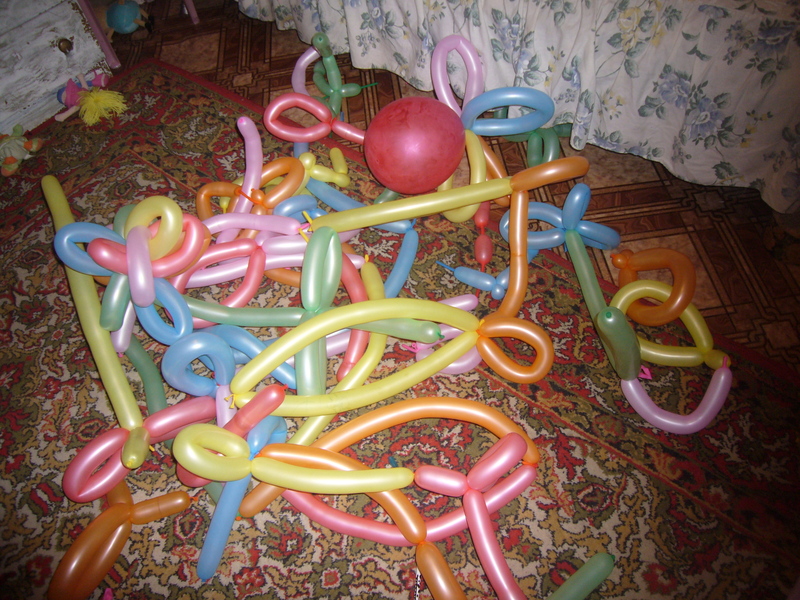 This is what came out of our spontaneous balloon party with kids. It’s a one way to organize your preschooler activity at home. I got about 100 long balloons, one balloon pump, 4 kids and a quick bisquit cake raisins. 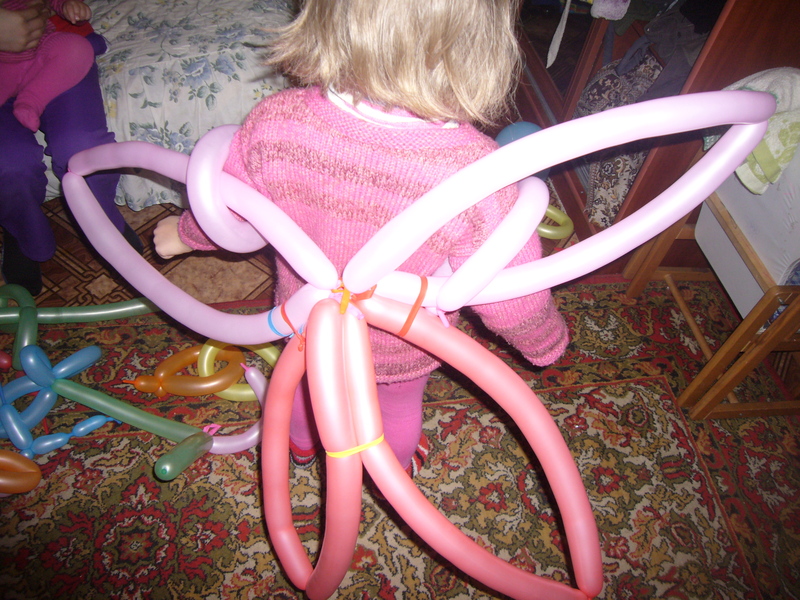 I gave them some very basic ideas of how to make things out of these balloons and plaing with, they got pretty creative. They came up with thier own ideas and toys to make out of those balloons. My preschooler had a great time enjoying fun with her friends and I got couple of hours of free time for myself, as kids got pretty busy playing. They did turn the house up side down! 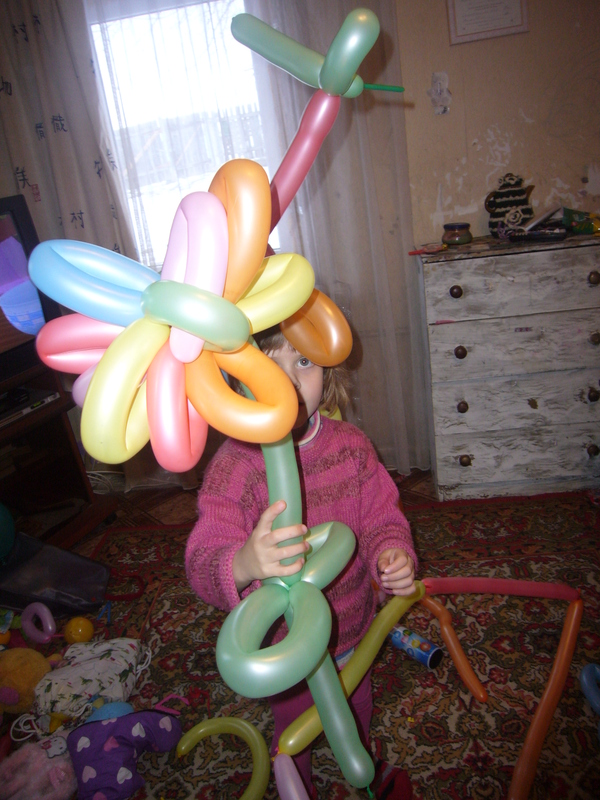 This entry was posted in Uncategorized and tagged balloon, balloon party, fun kids party, fun with kids, kids entertainment, preschooler, preschooler activities, preschooler party. Bookmark the permalink.